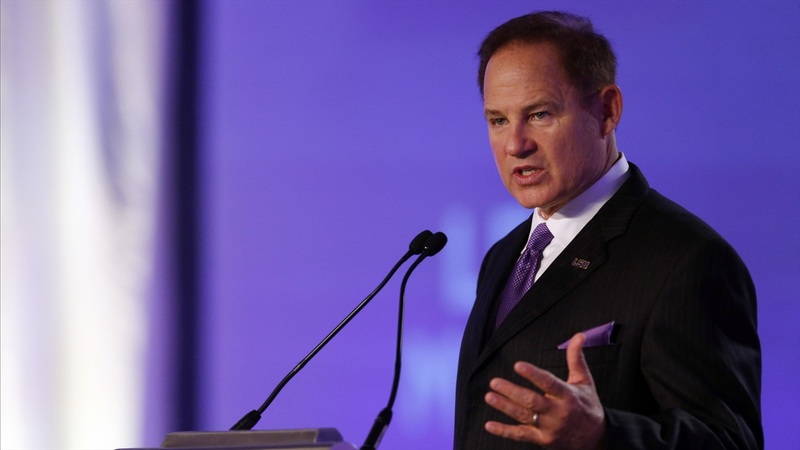 When Les Miles joined his son Ben on a recruiting visit to Nebraska, they both knew it was right. Back in Nebraska to speak at the Huskers’ coaching clinic for in-state football coaches, Miles met with the media Friday night to talk a little bit about everything. That included his time at Colorado, the recruitment of his son and his thoughts on Coach Mike Riley. He even touched on his future coaching aspirations. Nothing panned out for Miles in the offseason, but he has been approached by several prospects. Going forward, he knows he has more to offer a team than he has in the past. While Miles continues to look for the next opportunity, he knows he’d like to spend some time at Memorial Stadium in 2017. With Ben a soon-to-be fullback for the Huskers, Miles wouldn’t miss the opportunity to see his son begin his collegiate career. As for Miles’ personal experience at Memorial Stadium, he’s familiar. He coached the offensive line for Colorado from 1982 through 1986, which brought back many memories for Miles. He laughed about “lopsided scores” that went in the Huskers’ favor, but said he was ultimately happy to have those opportunities at Memorial Stadium. As for his relationship with Riley, Miles wasn't personally familiar with Nebraska’s head coach before Ben’s recruitment but he had heard nothing but good things. While Miles’ future is uncertain as a coach, he’s ready for whatever comes his way. Until then, he knows his son is in good hands at Nebraska and will likely be back to visit sooner rather than later.